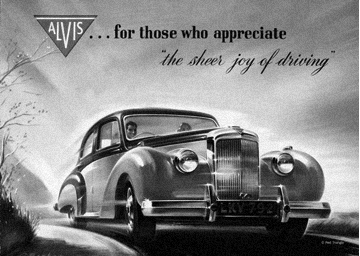 Alvis were true automobile engineers. 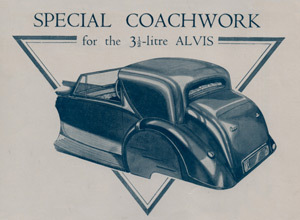 Everything from the concept to the finished rolling chassis was designed and engineered by Alvis, complemented by a range of eye-catching bodywork from leading coach builders of the time. The result – cars of outstanding reliability, impressive performance and stunning good looks. 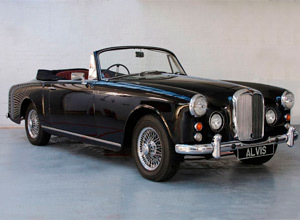 Alvis were hand built cars of exceptional quality, designed and manufactured by a British company. 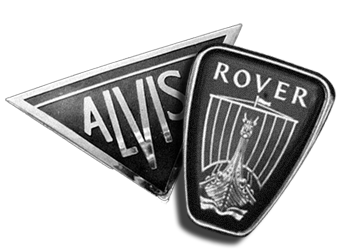 For almost fifty years, Red Triangle has provided a unique service of parts and restoration for Alvis cars based on quality, authenticity and customer care. 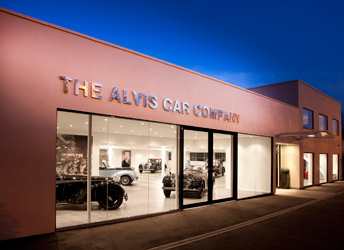 We are committed to continuing the tradition created by Alvis and providing a high quality service to enthusiasts around the world. 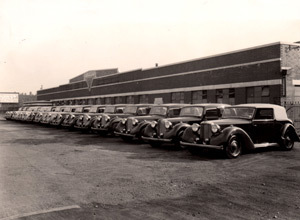 T. G. John begins manufacturing Alvis cars in Coventry with coachwork supplied by Cross & Ellis and Carbodies. 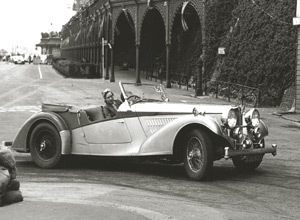 The first Alvis model, a 10/30, wins a gold medal in the London to Holyhead Trial. Introduction of the 11/40 and 12/40 models. First 12/50 model launched. 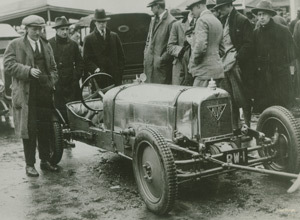 Alvis works 12/50 wins the 200 Miles Race at Brooklands at an average speed of 93.29 mph. Alvis take 39 class records in one day at Brooklands. 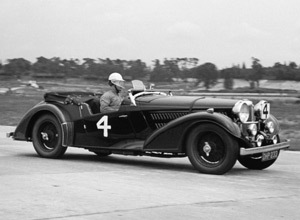 A supercharged Alvis front wheel drive laps Brooklands at 104 mph. 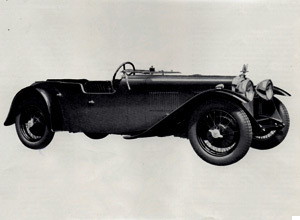 Alvis design and race the first straight eight front wheel drive Grand Prix racing car. 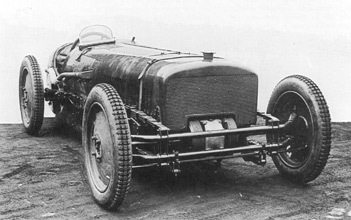 A supercharged Alvis straight eight front wheel drive Grand Prix car laps Brooklands at 121 mph. 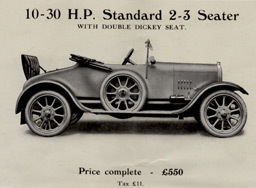 14.75 model introduced as the first six cylinder car. 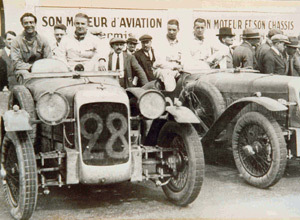 Alvis win the 1500cc class at Le Mans in a front wheel drive. 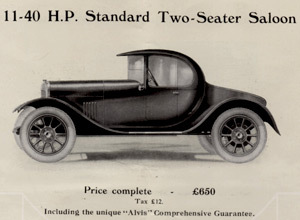 The Alvis Company manufacture and market the world's first front wheel drive production car. 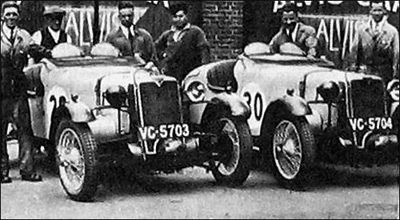 Alvis straight eight FWD sports cars take the first three places in the 1500cc class at the Tourist Trophy. 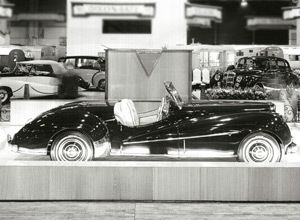 Production of the 12/60 Sports begins. The Speed 20 SA first appears at the Scottish Show. 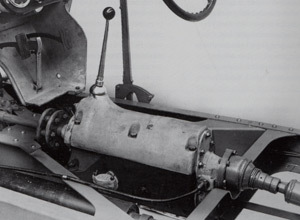 Four cylinder Firefly model introduced to replace the 12/50 and 12/60 models. 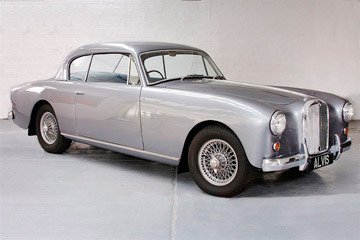 Alvis design the world's first all synchromesh gear box and initiate the first British car with independent front suspension. 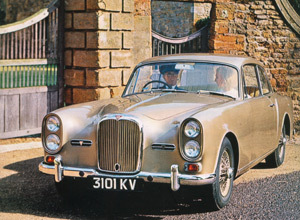 Vanden Plas and Charlesworth are designing coachwork for the speed models. Crested Eagle and Speed 20 SB are announced. A new Firebird model replaces the Firefly. Speed 20 SC is launched and an all new six cylinder 3.5 Litre model is revealed. The final Speed 20 development, the SD model is introduced and the new Speed 25 and Silver Crest models are announced along with the 4.3 Litre, the fastest production saloon available with a top speed of over 100 mph. 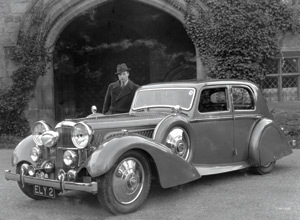 The 4.3 Litre ‘Short Chassis’ tourer with coachwork by Vanden Plas is launched. The new 4 cylinder 12/70 model is announced. 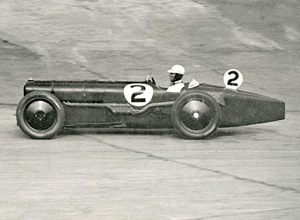 Racing Driver Tommy Wisdom laps Brooklands at 119mph in an Alvis 4.3 Litre Vanden Plas tourer. The company expand the manufacture of aero engines and armoured vehicles. 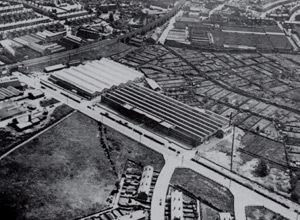 The Alvis Company controls 21 'shadow' factories producing aero engines for the RAF. 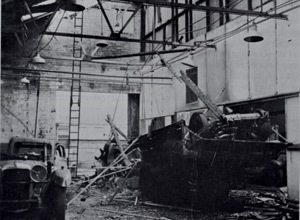 November 14th the Alvis factory is badly damaged by the German Luftwaffe during the Coventry Blitz. 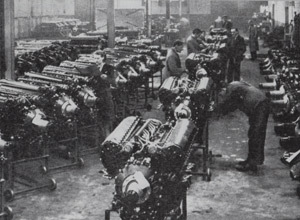 Alvis test Merlin engines for Spitfires in one of their 21 “shadow” factories. 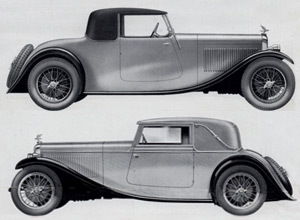 Alvis return to car production with Mulliners and Tickford designing coachwork for the TA14. 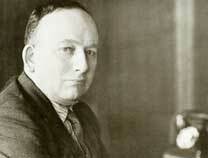 They continue producing aero engines and military vehicles. The company announce the TB14, a sports version of the TA14 the with coachwork by AP Metalcraft of Coventry. 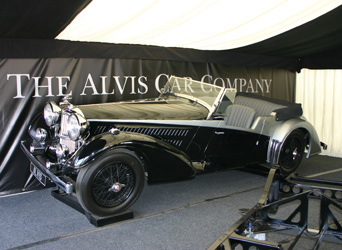 Alvis introduce the new 3 litre straight six engine and start production of the TA21. 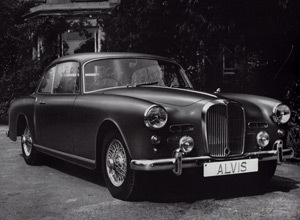 Swiss coachbuilder Herman Graber begins designing coachwork for the new Alvis chassis. TB21 sports roadster goes into production. 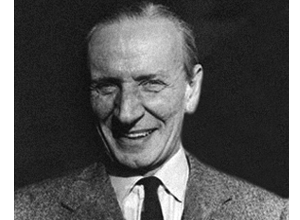 Alec Issigonis joins Alvis to design a prototype 3500cc V8 engine. 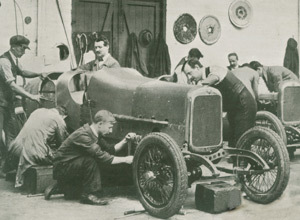 The TA21 is replaced by the TC21 and further upgraded to the TC21/100 - the '100' designating a true top speed of 100mph. The TC21/100 is replaced by the TC108G. The UK version is built by Willowbrook under licence to Graber. 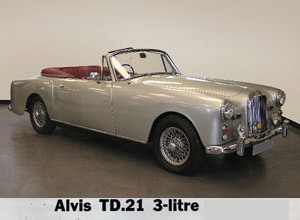 Alvis announce the new TD21 Series I with coachwork built by Park Ward based on a body design by Graber of Switzerland. 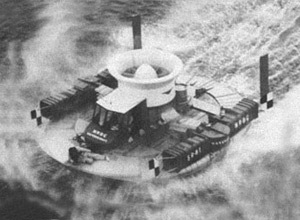 History is made when the first hovercraft SR.N 1 crosses the Channel powered by an Alvis Leonides engine. Further optional refinements were now available on the TD21 Series I such as overdrive, automatic transmission and reclining seats. The TD21 Series II is launched with further enhancements such as disc brakes all-round and a five-speed ZF gearbox. 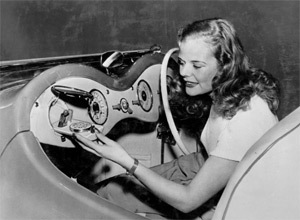 The TE21 is introduced with five speed transmission as standard, optional power steering and twin 'stacked' headlights. 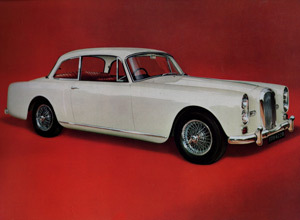 The 150 bhp TF21 Series IV is announced and is the last Alvis model to be produced. 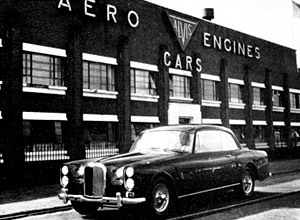 After 47 years and manufacturing almost 22,000 motor vehicles Alvis end car production at Holyhead Road. 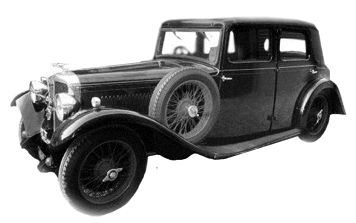 The Alvis Company relocates the passenger operations to Kenilworth with the complete stock of parts, 22,000 Car Records and over 50,000 works drawings, technical data sheets and correspondence files to support the existing customers with parts and service. 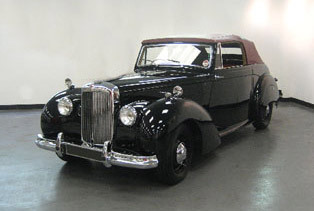 The company continues supporting Alvis owners with parts and service for post war cars. 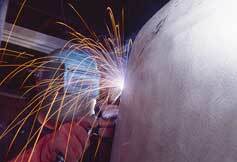 As the interest in classic cars increases the company expands its range of work to include full restoration. 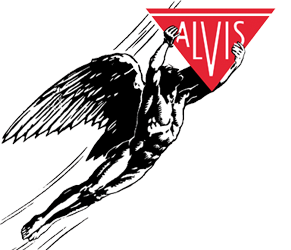 The company embarks on a major investment in manufacturing parts for all Alvis models from 1920 to 1967. 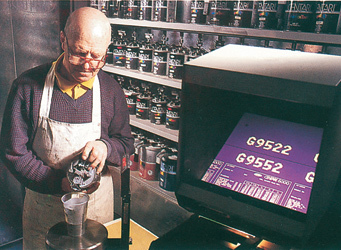 A new paint re-finishing plant is installed. 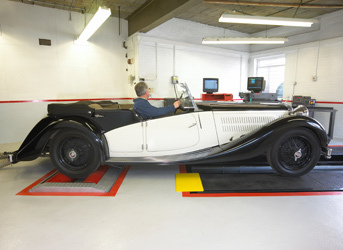 The Company makes further investment into modern restoration equipment including new a chassis dynamometer. 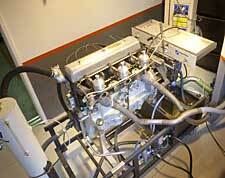 An engine test cell is installed with a new Superflow engine dynamometer. 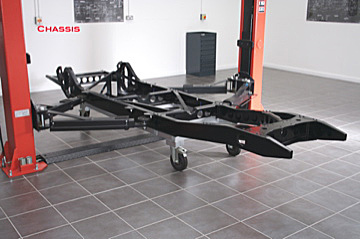 The new 4.3 Litre chassis and ash frame development is completed. 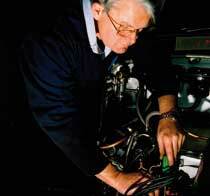 A new car showroom is opened with workshop facilities for new car production. The new 4.3 Litre ‘Continuation Series’ makes its debut at Goodwood Festival of Speed. The first order is taken.